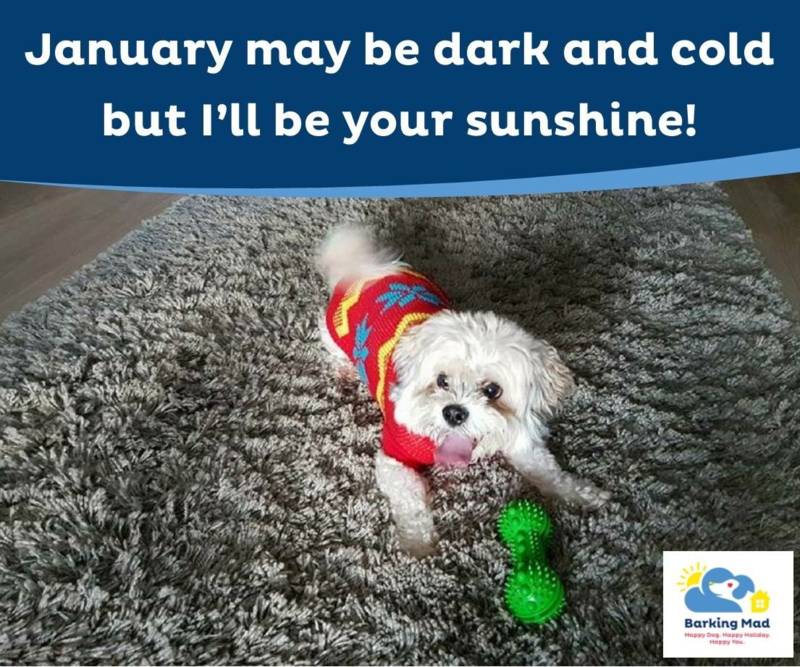 This year ‘Blue Monday’ falls on 21st January, Described as the ‘most depressing day of the year’, Blue Monday is known as the day when people feel at their lowest either due to the weather, lack of exercise, isolation or post Christmas lethargy. Volunteer dog cuddling is being offered by Barking Mad Huddersfield & Halifax as an antidote to the problem of loneliness in modern society. For those who are retired or work from home and are spending large chunks of time alone, caring for a waggy-tailed companion on a temporary basis and meeting other like minded dog lovers could really help to overcome feelings of isolation. The community of Barking Mad host families mainly consists of active retired people and those who either work from home or have extended periods away from work such as those who work in schools or colleges. It offers the opportunity to care for dogs in your own home, while their owners are away on holiday. Hosts experience all the benefits of dog companionship without any of the emotional or financial responsibilities of full-time pet ownership. Barking Mad is part of the Franchise Brands plc group of companies and is the UK’s favourite dog holiday company, as verified by TrustPilot. Contact Barking Mad at www.barkingmad.uk.com to find your dog’s home from home today.